Tulsa adds offensive weapon in veteran forward entering his seventh ECHL season. TULSA, OK – The Tulsa Oilers, proud ECHL affiliate of the National Hockey League’s St. Louis Blues, and Head Coach Rob Murray announced Thursday the signing of proven scorer Peter Sivak for the 2018-19 season. 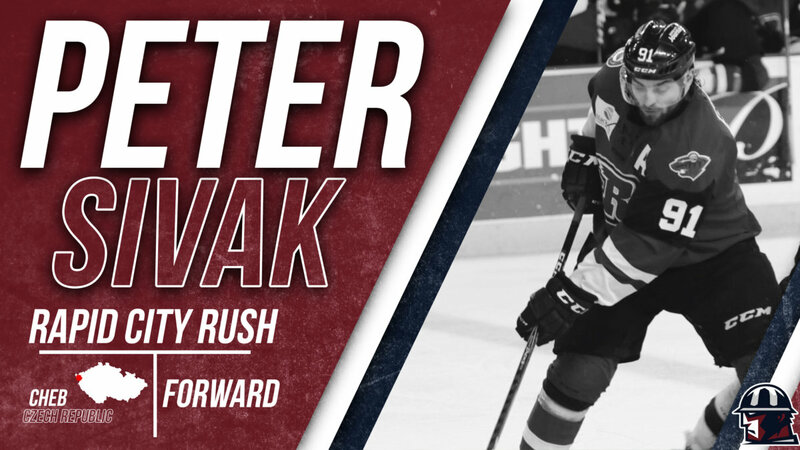 Sivak, 36, brings a proven scoring punch to Tulsa after putting up 60 points (26g, 34a) in 58 games for the Rapid City Rush in 2017-18. The veteran forward has averaged over a point per game through his entire ECHL career, and his 374 points since the 2012-13 season is second to only Chad Costello (414). Sivak reunites with Murray after posting his two best seasons with the Alaska Aces, an 83-point campaign (31g, 52a) in 67 games in 2013-14 and a 65-point showing (35g, 30a) in 53 games in 2016-17. The 5’11, 179 lbs. winger from Cheb, Czech Republic was an ECHL All-Star in 2013-14 and helped lead the Aces to the Kelly Cup that year. Tulsa will be Sivak’s eighth ECHL team, following Rapid City, Utah, Alaska, Fort Wayne, Orlando, Stockton and San Francisco. Prior to signing his first contract in North America in 2012-13, he spent 10 of his first 12 professional seasons playing in Slovakia, and the other two seasons in the Czech Republic. The Oilers host the Idaho Steelheads to open the regular season on Saturday, October 13 at 7:05pm at the BOK Center. The two teams will complete Opening Weekend in Tulsa at 4:05pm Sunday, October 14, followed by a postgame skate for the fans with the Oilers players. Oilers Season and Group Tickets are on sale now! Call the Oilers front office at 918-632-PUCK (7825) or visit www.tulsaoilers.com for more information. Follow us on Twitter and Instagram , or “Like” us on Facebook for more information about the Tulsa Oilers.